This article is the first part of GRILLGUIDE.net’s gigantic two-part Grill Buying Guide! We’re going to kick things off by going over some basics of what to consider before buying a grill. If you already know what kind of grill you want (e.g. gas, charcoal, ceramic, or wood pellet), skip to Part 2! If you’re not entirely clear on how to buy a grill or what to look for in a grill, your first decision should be whether you want to grill with charcoal, gas, or wood pellets. Most people are going to be choosing between charcoal and gas because those types of grills are the most familiar (and the most affordable). 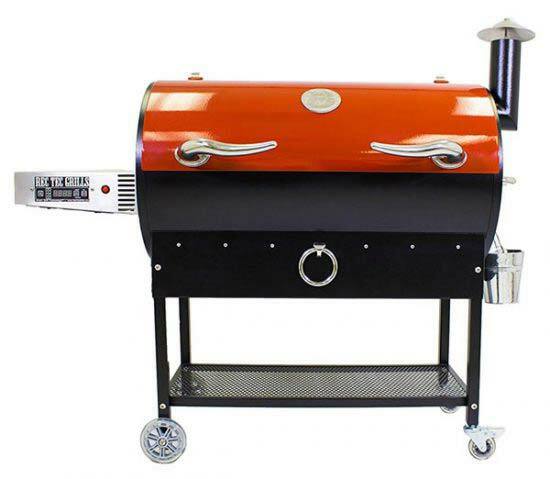 Wood pellet grills, however, are quickly gaining popularity because they feature computerized temperature control and make low-and-slow smoking a no-brainer. Each type of grill has its pros and cons, so let’s look at those first. Generally speaking, charcoal grills are less expensive than other types of grills. Charcoal grills are inherently low-tech. Just put your charcoal in the bottom and you’re ready to start cooking after the charcoal heats up. It’s a simple setup, and it’s easy on the wallet! The classic Weber Original Kettle Grill (pictured below) is pretty inexpensive as grills go, and there’s also a similar (albeit slightly smaller) grill made by Beau Jardin that costs a bit less. Even if you decide to get fancy with something like a drum smoker, the Weber Smokey Mountain Cooker 14-Inch Charcoal Smoker will still cost you considerably less than a lot of mid-range gas grills. Yes, there are some charcoal grills out there that will run you $400 or more … the Weber Performer Premium Charcoal Grill, for example, has a built-in side table and LCD cook timer. It’s a fine grill, but that’s gonna cost you. The most basic gas grills, meanwhile, are going to cost more than the Weber Kettle (like this popular Char-Broil model). But if you start looking for extra features and nice stainless steel construction, the price for a gas grill goes up quickly. If it ain’t broke, don’t fix it! The Weber Kettle has remained largely unchanged since dinosaurs roamed the Earth. Charcoal grills have the potential to produce higher cooking temperatures than conventional gas grills. Surprised? When you go shopping for a gas grill, you’ll see a lot of BTU numbers being thrown around. In fact, we’ll be talking a little about BTUs throughout this grill buying guide. BTU numbers might give you the impression that a gas grill can produce more heat than charcoal, but that simply isn’t the case. It might be true that most of your cooking won’t require extremely high heat, but if you’re looking for a good sear on that steak, charcoal delivers. Part of the reason is that, for safety reasons, gas grills are typically not designed to form a tight seal when closed. And while most wood pellet grills can reach grilling temperatures of 450° to 500° F or so, they are are mainly designed for low-temperature smoking (usually under 300° F). With charcoal grills, you’ll get a tighter seal that holds in more heat than a gas grill. You also have the option of piling more briquets (or wood pieces, or whatever you’re burning) under the cooking grate. 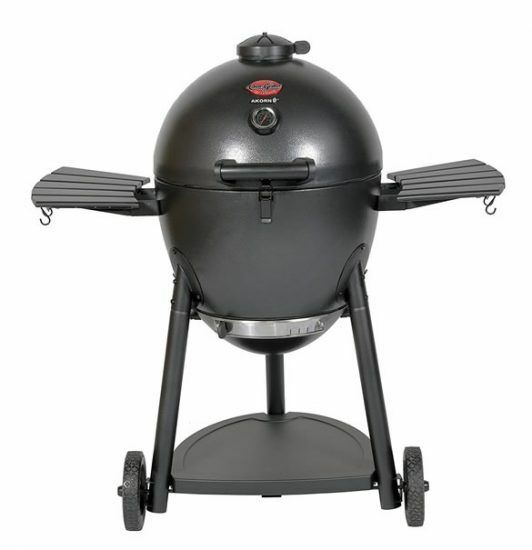 You can also get a charcoal grill with adjustable grate height, such as the Char-Broil American Gourmet Series. A charcoal grill with adjustable grate height allows you to adjust the distance between the cooking grate and the heat source. 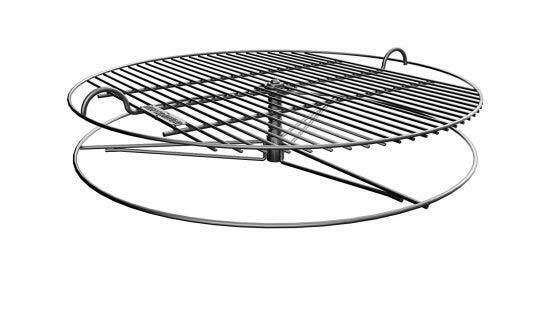 There is also an aftermarket cooking grate that puts its own “spin” on adjustable grate height in a Weber Kettle-style grill (see the GrillUp grate below to understand that very clever pun). With charcoal grills, you may not have the convenience of temperature control knobs, but you do have manual control of the heat, and that counts for a lot. Conventional gas grills, for the most part, usually don’t offer the ability to adjust anything but the burners. If you want a gas grill AND the higher cooking temperatures, an infrared grill is probably your best bet. Read about infrared grills here. 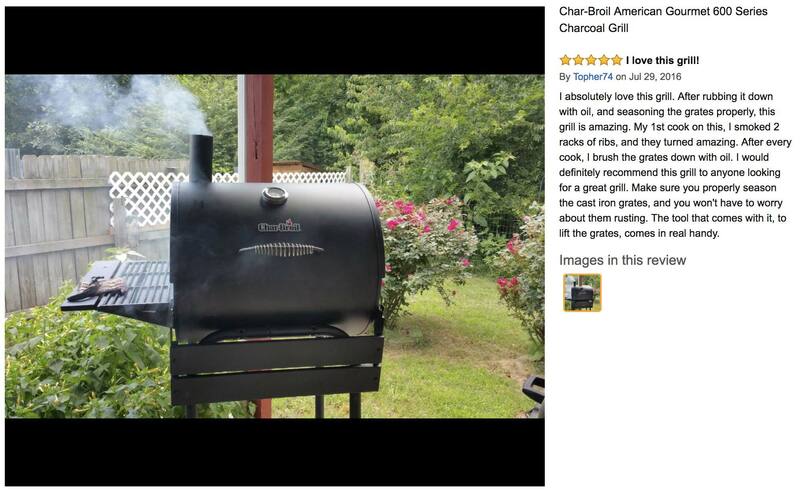 [click to enlarge] Amazon customer Topher74 seems pretty in love with the Char-Broil American Gourmet Series! It’s a charcoal grill with adjustable grate height, and a nice little chimney, too. The GrillUp adjustable height cooking grate is pretty cool – just turn (“spin”) it to raise or lower the cooking surface! It also provides an easy way to add more coals to the fire if needed. Charcoal grills make for capable smokers. The smoke produced by a grill is going to depend entirely on what’s burning inside it. Burning gas, whether natural gas or propane, won’t produce enough smoke to affect the taste of your food. If you’ve ever watched that wonderful animated sitcom King of the Hill, you’ve probably heard Hank Hill proudly declare that, with propane, you “taste the meat, not the heat!” That’s true. With propane, you taste the meat, not the heat. But what if you want to taste the heat? Smoke produced by burning organic materials such as charcoal and wood is going to impart a certain flavor to your food that gas cannot. 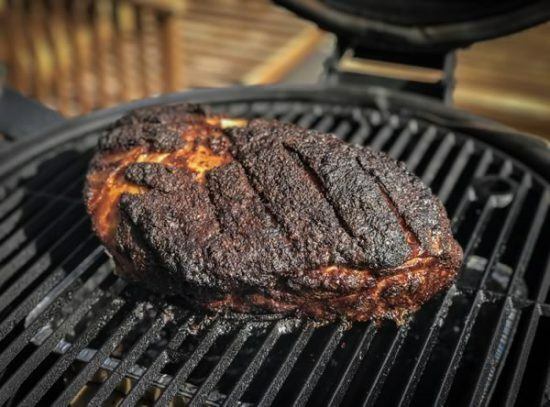 Experienced smokers and pit masters know that a long, slow cooking process is the best way to get that smokey flavor, and a grill that’s built to burn charcoal and/or wood is what you need to get it done. The Weber Smokey Mountain Cooker (pictured below) is one way to go. If you want automated temperature control and the convenience of a more traditional flat grill design (as opposed to the Smokey Mountain’s stacked racks), you should be looking at wood pellet grills (see below). Another option is ceramic grills—which most people use for burning charcoal—but those tend to be kind of pricey (see below). Regardless of what kind of grill you choose to smoke with, there’s no denying that smoking with charcoal tastes daaaamn good. Wanna get serious about smoking the meats? The Weber Smokey Mountain Cooker is how you do it! Even if you’re not smoking (cigarette joke haha lol etc. ), charcoal grills just produce food that tastes amazing! Well, that’s how a lot of people feel, anyway. Truth is, when you cook things that are quick, such as burgers and hotdogs, the smoke produced by the charcoal doesn’t really have a chance to influence the food. Those smokey little molecules need more time to gather on the meat’s surface and do their thing. So why does everything seem to taste better when it comes off a charcoal grill? I don’t know, but I have a theory. Science claims that up to 80% of what we taste comes from smell, and the smell of smoke rising from a charcoal grill is the olfactory equivalent of good times, isn’t it? That’s the smell of happiness. So I guess that’s your answer: When you taste food that’s cooked on a charcoal grill, you’re tasting pure, unadulterated happiness. You’re tasting everything that you love about life. Hey … you smell that? That’s the smell of summer! The smell of backyard barbecues! The smell of good times with good friends! That’s the smell of pure joy. (now slightly tilt your head to one side and stare off into the distance with a deep sense of longing) … Sigh. Charcoal grills have fewer parts than gas and wood pellet grills, so they’re less likely to require maintenance. As mentioned above, charcoal grills are very low-tech. They’re essentially metal fire pots with cooking grates in them. There’s really not much that can go wrong. Gas grills, on the other hand, require an assortment of basic parts in order to function. There are the burner assemblies inside the grill, temperature control knobs on the front, maybe a side burner, plus hoses that connect everything to your propane tank or natural gas line. I don’t mean to suggest that owning a gas grill is a bad idea (it’s actually pretty awesome), but things do sometimes go wrong. That’s just the nature of machines, and the same holds true for wood pellet grills. Charcoal grills have few, if any, moving parts, so they’re about as reliable as you can get. Charcoal grills are illegal in some places. That little Weber Smokey Joe you just bought is great for tailgating, but you might want to do a little research before you take it to a park or a campground. Charcoal grills can present a fire hazard if not handled carefully. And in some places, they’ll get you in trouble if a park ranger happens to come by your campsite. Luckily, there are plenty of portable propane grills available if you’re the outdoorsy type. Also, if you live in an apartment complex and want to put a grill on your balcony, it might be wise to check your lease or call the landlord before buying a charcoal grill. Depending on where you live, there might even be city or state laws that prohibit balcony grilling. Sometimes life just ain’t fair. Well, at least you can bring your dog! But please be cool and clean up the poo poo. Charcoal takes some time to heat up. From the time you dump those cold charcoal briquets into your grill to the time you’re ready to cook, you’re probably looking at a minimum of 20 minutes or so. This isn’t a bad thing, but it does mean that you need to plan ahead a little bit. Lighter fluid might seem like a good way to kickstart that fire, but you should avoid it unless you enjoy the taste of gasoline. Instead, get a chimney starter. It’s a simple metal thingy that provides a way to get your charcoal burning relatively quickly without any nasty tasting chemicals. We’ll take a closer look at chimney starters later on in this grill buying guide. Still, it’s gonna take some time for your charcoal grill to be hot enough for cooking. Charcoal and the resulting ashes can get a bit messy. Earlier in this grill buying guide, I mentioned that charcoal grills are low-tech because they’re basically simple fire pots. This is true, and like all fire pots, there’s going to be some cleanup when the fire goes out. The good news is that doing this cleanup right after cooking isn’t an option, so you have no choice but to eat, drink, and relax. Deal with ash disposal after the embers have cooled and, preferably, when there’s no breeze blowing. Truth be told, grilling in general is an art form no matter what heat source you’re cooking with. There are numerous things to consider, such as the cut of meat, the cooking time and method, pre-grill meat preparation, sauces and rubs and marinades, etc. With charcoal grills, however, there’s the added element of learning to control the heat and air flow. You don’t have any handy temperature control knobs to rely on. You can’t just turn the heat up or down instantly. When you’re cooking with charcoal, your grill is like an instrument. It takes skill to control the temperature and air flow. You’re basically Yo-Yo Ma with a flaming-hot cello. And once you get the hang of grilling, you can move on to barbecuing, which is a whole different ballgame! Grilling burgers and brats isn’t quite the same as barbecuing a brisket for 18 to 20 hours. Don’t worry, you’ll get there eventually if that’s what you’re after! But it will take some practice. Or it will take a wood pellet grill, which basically does all the work of temperature control for you. Ceramic grills cook meat that’s juicier, and less weight is lost in the cooking process. I almost lumped ceramic grills in with charcoal grills, but this wouldn’t be a complete grill buying guide if we didn’t acknowledge the unique set of pros and cons that come with this kind of grill. A ceramic grill, which is the same thing as a kamado grill or an egg grill or an egg smoker, uses charcoal just like your standard Weber or Char-Broil. The big difference is that ceramic grills are designed to retain a LOT more heat than your traditional charcoal grill. As an insulator, ceramic puts plain old steel to shame, and most plain old charcoal grills are essentially just steel containers. Because ceramic grills have greater heat retention, they can cook with less air flow. With charcoal grills, controlling air flow is a big deal because you need to feed those coals oxygen in order for them to stay hot. This isn’t at all unusual, except air is what robs food of moisture and causes it to dry out! In a ceramic grill, so much heat is retained and radiated inside the ceramic shell that the coals mostly stay hot on their own, and the result is juicier meat that hasn’t lost a lot of moisture to air. This also means that your food will lose less weight in the cooking process. The Kamado Joe is a serious cooker for the serious weekend pit master! Ceramic grills use less charcoal than regular charcoal grills. Care to guess why this is? HEAT RETENTION, stupid! Thanks to the awesome insulation that ceramic provides, you’re going to get a lot more bang for your buck in the charcoal department. Not only will you be using less charcoal in a ceramic grill, it is also possible to close up the vents and starve the coals of air so that they extinguish themselves. That charcoal can then be reused the next time you cook. Ceramic grills are great all-weather cookers. Because of the air flow needs of a charcoal grill, cooking outdoors in extremely cold or windy conditions isn’t what you’d call optimal. Gas grills aren’t sealed all that well for safety reasons, so they are also susceptible to the weather. Wood pellet grills have built-in temperature control, so they’re fairly well-equipped to handle different types of weather, but their temperature stability can definitely be influenced by it. Ceramic grills are the big exception to the weather rule. Whether you’re cooking in extreme cold or on a windy, blustery day, your ceramic grill is going to perform like a champ. Due to the limitations of traditional charcoal and gas grills, most people think of grilling as a summer-only activity, but it doesn’t have to be. With a ceramic grill, you can use it year-round. Ceramic grills are versatile and can be configured in different ways. Depending on which ceramic grill you buy, there will be an assortment of parts that you can use to form different grill configurations. Different brands of ceramic grills might provide you with slightly different parts, but they all serve more or less the same purpose. You can set up your ceramic grill to work just like any other charcoal grill with the cooking grate close to the coals. You can also use a wire platform to raise the grate further up inside the grill, away from the coals. A deflector plate will turn your ceramic grill into a smoker by shielding your food from direct heat. This forces the grill to function as a convection cooker, and you can also cook pizza this way. Your ceramic grill can function however you want it to! It can grill, sear, smoke, bake, you name it. 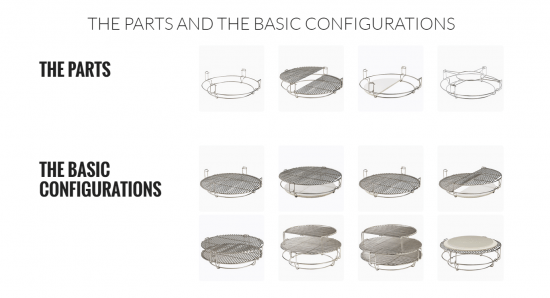 [click to enlarge] These configurations are for the Kamado Joe, but you should be able to achieve most (or all?) 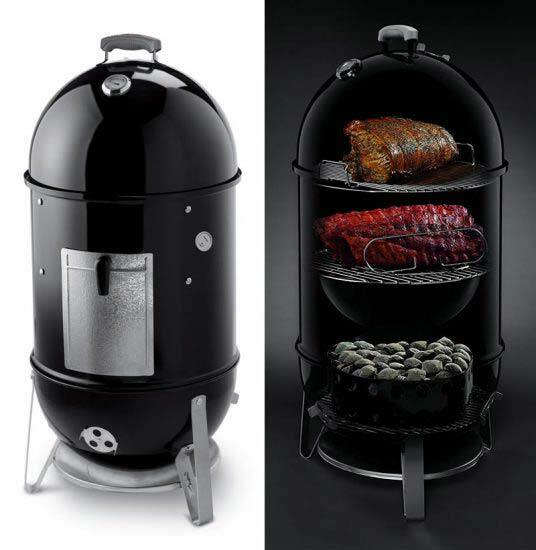 of these configurations in other ceramic grills, as well. 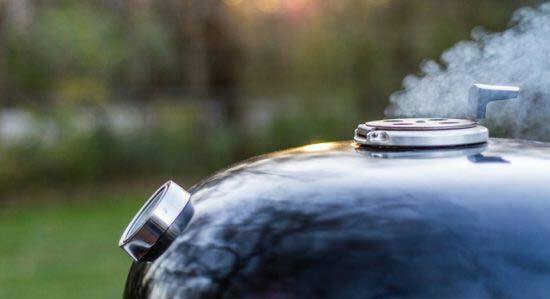 Ceramic grills are great smokers. You can use a ceramic grill to cook up steaks and burgers just like any other grill in this grill buying guide. But if you want ribs that fall off the bone and pulled pork that melts in your mouth, smoking is the way to go! Smoking is a subject that is going to come up at various points in this grill buying guide. If you read the charcoal grill pros and cons above, you know that Weber makes a pretty nice charcoal smoker. Down below, in the wood pellet grill pros and cons, you’ll see why wood pellet grills are also great for smoking. Ceramic grills don’t have the same features that wood pellet smokers come with, but they are very capable smokers in their own right. A ceramic grill can hold a steady temperature for hours and hours, and the results are pretty amazing. Twitter user @velorapride knows how to smoke with a kamado grill! Ceramic grills are durable and can last a very long time. All of the other grills in this grill buying guide are made of metal. Grills that are made from high-grade 304 stainless steel will be less susceptible to rusting than grills that are built with cheaper materials, but they will still show signs of wear after enough years of usage and weather. Ceramic doesn’t rust. And the metal parts that are used in ceramic grills can be replaced when they’re past their prime. As long as you don’t knock it over and break it, your new ceramic grill might be the last grill you ever buy. Ceramic grills tend to cost a lot more than your average charcoal grill. Weber and Char-Broil both offer some good charcoal grills that are easy on the budget. For a good ceramic grill, however, you’re probably looking at a pretty steep investment. 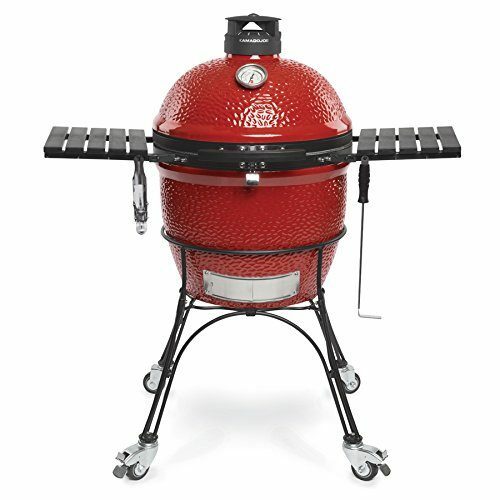 Pit Boss, for example, sells a 22″ kamado that will cost you a couple car payments. The Kamado Joe Classic II (the red grill pictured above) is even more. They also sell the Big Joe II, a bigger model, with an even bigger price tag. A quick search on Amazon for “ceramic grills” will reveal a few grills that are egg-shaped, sort of like kamados, but they are way, way cheaper. That’s because they’re more of a “kamado style,” and they’re made from steel rather than ceramic. The Char-Griller Akorn Kamado Kooker (pictured below) has the word “kamado” in its name, but it costs just a fraction of the Kamado Joe’s price tag. The low price doesn’t mean that it’s a lousy grill (it’s actually very good! ), but you should know that it is not made from ceramic and will not perform in exactly the same way. The performance is close, yes, but not identical. Likewise, Char-Broil makes a kamado style grill they call the Char-Broil Kamander. It’s much less expensive than a true ceramic grill, but alas, it is also made of steel. 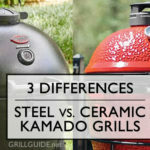 This grill buying guide will take a peek at both ceramic grills and their “kamado style” brethren. The Char-Griller Akorn Kamado Kooker is a fine grill, but it’s not made of ceramic! When a ceramic grill gets too hot, there’s no easy way to cool it down quickly. This grill buying guide has mentioned the great heat retention that comes with ceramic grills a few times already. The flip side of that coin is that getting a ceramic grill to cool down isn’t an easy task. If you overshoot your desired cooking temperature by a lot, you’re kind of screwed! You’ll have to either remove coals from the fire pit, which can be dangerous, or you’ll have to starve the coals into submission and start over after the ceramic cools down. Neither of those options is great, so you might want to do a few practice runs with your new ceramic grill before getting serious. Ceramic grills are really heavy, so that limits their portability. The Cal Flame Kamado weighs 176 lbs. The Pit Boss weighs 178 lbs. The Kamado Joe Classic II weighs 250 lbs. Ceramic grills are heavy! When you start to assemble your new ceramic grill, be sure to have two strong people to lift it onto its wheeled rack. The last thing you want is to drop that expensive hunk of ceramic and have it chip, or worse, get cracked. And even though the rack your ceramic grill sits on will have wheels, that doesn’t mean it’s super portable. I wouldn’t recommend loading it into the car and taking it camping with you. Not only is it heavy, it’s also expensive, and it doesn’t cool down quickly. I personally wouldn’t want to risk breakage or trying to load a hot grill into the car when it’s time to go home. Ceramic grills take some practice, just like regular charcoal grills. Earlier in this grill buying guide, I mentioned that charcoal grills take some practice to truly master. Since a ceramic grill is also a charcoal grill, the same thing applies here. Part of the reason that charcoal grills take practice is that you have to manage air flow in order to control the temperature properly. In ceramic grills, air flow isn’t really a thing, at least not while you’re cooking. But getting your ceramic grill to reach the correct temperature and not blast way past it, that’s gonna take some getting used to. Don’t worry, it’s not rocket science! Just watch a few Youtube videos and learn from your own trial-and-error and you’ll get it eventually. Gas grills are super convenient. Open the valve on your gas tank. Turn on the burners. About 10 minutes later, you’re ready to start cooking! It’s that easy. This is probably at least half the reason that gas grills are so popular. You don’t have to mess with any dirty charcoal briquets or buy a chimney starter. Just fire up that grill and go! The convenience of gas grills is hard to argue with. Gas grills provide easy temperature control. As mentioned above in this grill buying guide, charcoal grills take some getting used to. Controlling the amount heat put out by a gas grill, on the other hand, is as easy as turning the temperature control knobs. Just turn those dials up or down to control the flames, and there’s not much else to know. 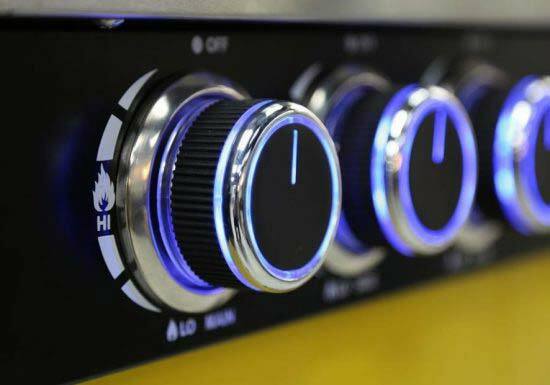 Monument Grills sure knows how to make burner control knobs look cool. Gas grills are easy to clean. Look ma! No ashes! With that said, you should still remove the cooking grates and clean the burner assemblies from time to time. Get rid of the grease and grime that builds up down there. Make sure the gas nozzles aren’t clogged. Empty the grease pan. You know, that kind of thing. It’s still very easy compared to handling burnt ashes that will blow and scatter everywhere at the slightest sign of a breeze. Wood pellet grills are also easy to clean because they produce very little wood waste. Read more on that below. Gas grills can be bought with some pretty nice extra features. So you wanna get fancy? This modestly priced Char-Broil has a side burner. 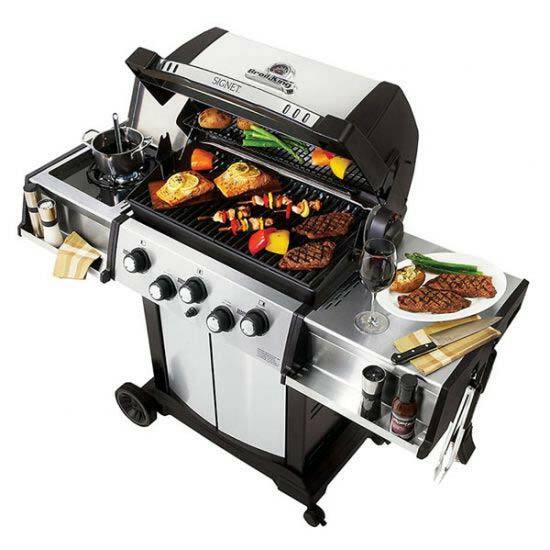 If that’s not fancy enough, this Monument Grills model has a side burner, LED control knobs, and a USB grilling light. The Broil King Signet 90 (pictured below) comes with a side burner, folding shelves, and a rotisserie burner. Napoleon Grills makes a beautiful hunk of stainless steel that has a condiment rack and an infrared searing burner. Yes, you can get pretty fancy with gas grills! Charcoal grills may have a few frills built into them, such as side shelves and whatnot, but if you want all the gadgets, gas grills got ’em. 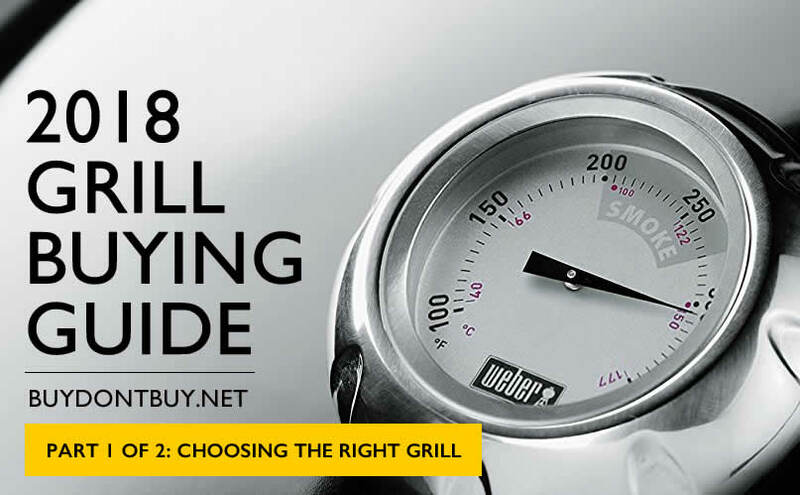 This grill buying guide will provide more details on each of these grills down below. The Broil King Signet 90 has a few more features than the Weber Kettle. Just a few. Gas grills can get expensive. The gas grills that are on the lower end of the price scale are actually very affordable. Char-Broil has a line of inexpensive propane grills, several of which are priced in the neighborhood of $100 give or take. Toss a few more dollars into the grill budget and you can now consider buying this ExpertGrill 3-burner grill, this RevoAce 2-burner grill, or this Master Cook 3-burner grill. hese are all “full-size,” freestanding grills with built-in side shelves. Not bad for less than $150! However, as mentioned earlier in this grill buying guide, gas grills overall tend to be pretty expensive when compared to their charcoal counterparts. For what most would consider to be a “nice” gas grill that proves to your neighbors that you truly are better than them, you’re probably looking at a minimum of around $300 to $400 or so. That kind of money should get you stainless steel if you want it, plus maybe some extra bells and whistles like side burners, etc. A lot of nicer grills are available in the $600 to $800 range, and prices can reach $3,000 to $4,000 for the most heavy duty units. Naturally, certain brands like Weber and Napoleon will cost more than lesser-known names, but there are lots of other options if brand names don’t impress you. Char-Broil, who we already know sells some very affordable grills, also has some upscale gas grills that deliver a lot of bang for the buck. In fact, Char-Broil has also developed a whole line of infrared grills (read about infrared grills here), so you should give their TRU-Infrared grills a look if that’s what you’re shopping for. Wanna grill fancy without having to sell a kidney? The Char-Broil TRU-Infrared 325 isn’t nearly as expensive as it looks! Gas grills require flammable gas, which is potentially dangerous. In all honesty, both charcoal and gas (and to a lesser extent, wood pellets) can present certain safety hazards. All grills have the potential to cause harm if not supervised properly, and the same could be said about the stove in your kitchen. The thing about gas is that you have to be extra careful about how you handle propane tanks. It’s mostly common sense: Don’t let the tank get knocked around. Don’t lay the tank on its side. Don’t leave it inside a hot car. Don’t store the tank indoors. Basically, don’t do anything stupid with it, and you’ll be fine! Literally millions of people power their grills with propane every summer, and incidents involving propane tanks remain pretty rare. Still, please exercise some caution and awareness when handling a tank full of propane. If you live in a house with an outdoor gas hookup, an alternative to propane might be to buy a grill that’s built to receive a natural gas line. Many of these grills tend to be pretty expensive, but they do eliminate the need for propane tanks. 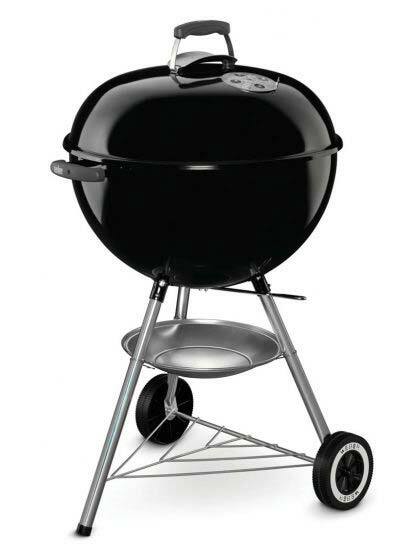 Most gas grills can’t reach the same high temperatures that charcoal grills can. Well, except for infrared grills. Click here if you don’t know what an infrared grill is. Conventional gas grills, however, are a bit limited in their peak cooking temperatures. When you see BTU numbers quoted with gas grills, that’s mostly just to give you something to brag about when your buddies come over for a cookout. For the BTU rating to have any meaning, you have to measure the BTUs against the size of the cooking surface. You can read more about BTUs here if you really want to understand that metric better. Suffice it to say that higher BTU ratings generally do NOT equal higher temperatures. Larger grills put out higher BTUs because they require more gas to heat the larger cooking area. The big takeaway here is that conventional gas grills just aren’t designed to hit 800° F or more the way a charcoal grill can. Most consumer-market gas grills, including the ones featured in this grill buying guide, will top out around 500° F or so. In fact, Weber unequivocally states that all of their gas grills, regardless of size or BTUs, have a maximum temperature of 500° to 550° F. This should actually be just fine for the majority of backyard grillers, so it isn’t necessarily a horrible thing. It’s just how backyard gas grills are designed, and safety has something to do with that. Gas grills can be hard to assemble. Granted, assembling a grill is a one-time thing. When you’re done, you’re done! But some grills, especially the more expensive ones, can take hours to put together. I personally like assembling things because it gives me a chance to use that ratchet set I bought 10 years ago and never touch. Also, it makes me feel very manly. But if you’re not excited about following a manual and putting a bunch of bolts in all the right places, you should think about taking advantage of Amazon’s “expert” grill assembly (for an additional fee, of course). Or, if you’re shopping for a grill that’s kind of up there in price, they offer FREE assembly on certain models! Here’s the full list of grills that Amazon sells with free assembly. If you’re spending the money for a top-notch grill, let Amazon assemble it for free! Sometimes, you run out of gas. Ok, you can run out of charcoal and wood pellets, too. But still … don’t let this happen! There are two things that are guaranteed to instantly kill your summer barbecue: running out of beer, and running out of propane for the grill. Thankfully, both of these disasters are totally avoidable. If keeping a spare tank on hand isn’t your style, just be sure to give the propane tank a lift every once in a while. When it starts to feel unusually light, you know you’re probably running low. Wood pellet grills take the guesswork out of temperature control. Wood pellet grills come equipped with an electronic temperature control unit. That control unit’s job is to monitor the temperature of the smoker and feed wood pellets into the fire as needed. Depending on the type of control box your wood pellet grill is equipped with, the temperature should remain within a 5° – 10° F range of whatever you have it set to. Some less-sophisticated models might allow for temperature swings of up to 20° F, but that could just be under certain weather conditions. Nonetheless, the reason electronic temperature control is a big deal is that you don’t have to worry about controlling air flow like you would with a charcoal grill or smoker. If you have already read the charcoal grill pros and cons earlier in this grill buying guide, you know that charcoal grilling takes some skill to master. Wood pellet grills, on the other hand, give you a set-it-and-forget-it capability. Considering that smoking is usually a low-and-slow process (that is, low temperature and slow cooking), having automated temperature control is a huge feature. If you have a big hunk of meat that you want to smoke for 18-20 hours, you could theoretically start your wood pellet grill before you go to bed at night and your meat would be ready when you come home from work the next day. I say “theoretically” because not everyone would feel comfortable leaving a grill unattended for that long. My personal opinion is that it’s probably best if you’re able to at least glance at the grill temperature reading every few hours, if for no other reason than peace of mind. Alternatively, if you’re just doing a good ol’ backyard BBQ, your wood pellet grill will maintain temperature just as reliably as the oven in your kitchen. Rec Tec‘s wood pellet grills look a little different from others … they’re way more badass! And they’re built with quality stainless steel on the inside, where it matters. This little box of electronics on the Rec Tec Wood Pellet Grill makes your job waaaayyyy easier! Some wood pellet grills come with WiFi connectivity and other cool tech features. Yes, you read that right! Turns out that electronic temperature control box can do some pretty cool stuff. Not all wood pellet grills are WiFi-enabled, of course, but a few manufacturers have adopted the technology. WiFi capability on a wood pellet grill means that you can monitor and control your grill through a smartphone app. 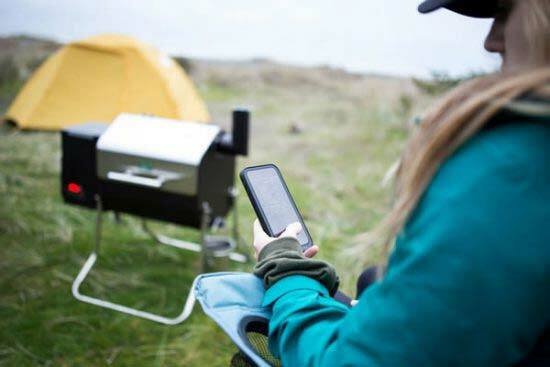 If your wood pellet grill’s WiFi offers a cloud-based connection, that means you can control your grill from anywhere as long as you and the grill are both “online.” The limited range of WiFi is not an issue when you’re connected through the cloud. This feature is offered by Memphis Grills, Green Mountain Grills, and a few other companies who install it on selected models. In my hypothetical scenario mentioned in the previous section above, where you start your wood pellet grill at night and then spend the next day at work, you would be able to virtually “check in” on your grill while at the office. Still, this is not for everyone, but it’s pretty cool. 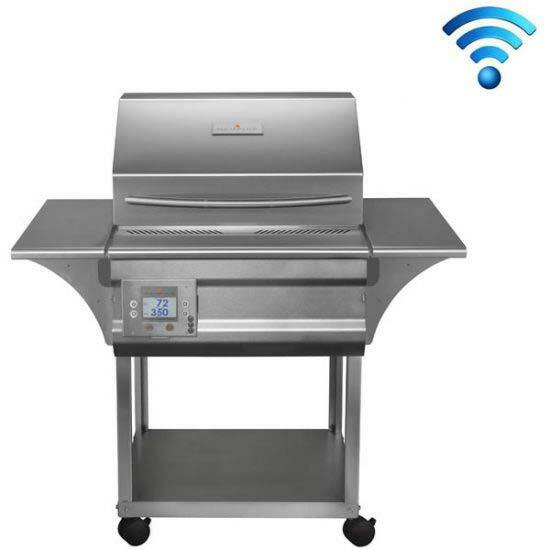 In addition to WiFi connectivity, some grills are smart enough to turn themselves down to a warming temperature when cooking is finished. Plus, a lot of wood pellet grills also let you plug a meat probe into the box so that you can precisely measure the temperature of your food. Memphis Grills don’t come cheap, but they do come loaded. Wood pellet grills heat up quickly. Charcoal grills take time to heat up because you usually have a pile of thick charcoal briquets that need to ignite. Wood pellets are densely packed pieces of sawdust and other wood particles, and they’re also pretty small. They tend to heat up more quickly than that bag of Kingsford charcoal sitting on your patio. Of course, if you’re looking to heat your wood pellet grill to a grilling temperature of 450° to 500° F (where many wood pellet grills top out), that will take a bit longer than if you’re using a smoking temperature of 250° F.
Wood pellet grills are designed to cook evenly over the entire cooking surface. With charcoal grills, your heat distribution will be determined by how your charcoal is arranged under the cooking grate. With gas grills, you have control over separate gas burners. Wood pellet grills are convection cookers, which means that hot air is circulated throughout the smoker. You can cover that cooking surface with food, and it will all cook at the same temperature. Even cooking means predictable results. Wood pellet grills are versatile and can be used to cook just about anything from burgers and ribs to briskets and turkeys. Wood pellet grills are often referred to as wood pellet smokers. They are one and the same. The reason some people like to call them smokers is because they are more or less designed for smoking meats over long periods of time. That’s why the automated temperature control box is such an important feature. When you fire up your Traeger, you ignite the power to grill, smoke, bake, roast, braise, and BBQ – you’re the master of all trades. From baby back ribs to wood-fired pizza, smoky mac & cheese and even homemade apple pie, anything you can cook up in your head, you can cook up on your Traeger. That may sound like a big load of salesmanship, and it is, but it’s also 100% true. And it doesn’t just apply to Traeger. It applies to all wood pellet grills! Remember, a wood pellet grill is a convection cooker. Think of it as a wood-fired convection oven. What can you cook in a convection oven? Basically anything. Wood pellet grills can do it all. Wood pellet grills produce a unique and delicious wood smoke flavor. There are probably a million things that have “mesquite flavor” in them. Potato chips, barbecue sauce, beef jerky, even charcoal briquets. Everyone loves mesquite! And what is mesquite? It’s a type of wood. It’s wildly popular because wood smoke flavoring is great in cooking. 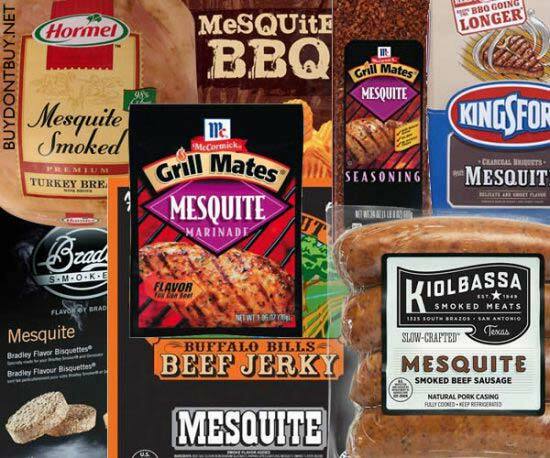 And mesquite is just one of many flavors that wood smoke can bring to your food. 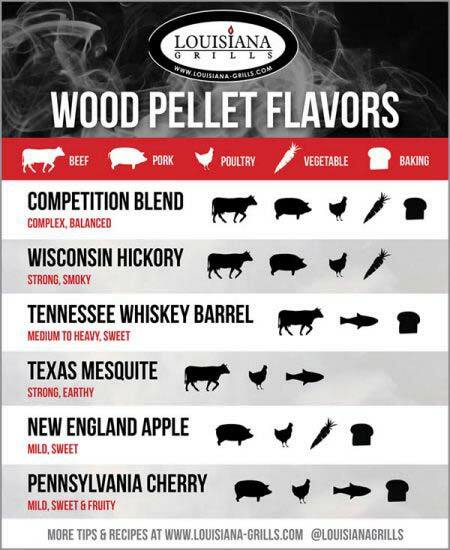 Flavored wood pellets are available in varieties such as mesquite, apple, cherry, and hickory, and some are recommended for specific types of food. When cooking beef, for example, mesquite and hickory are probably your best bets. If you’re cooking chicken, just about anything goes. Beneath my fun little mesquite collage below is a flavor guide provided by Louisiana Grills, a maker of both wood pellets and their own line of fancy wood pellet grills. Different wood pellet makers will come up with their own guides, but they’re mostly pretty similar. Wood pellet grills require electricity to run the temperature control unit, so mobility is limited. Wood pellet grills need to be plugged in. Even if you think, “I don’t need no temperature readout, I’ll just manually put the wood pellets in!” you’re out of luck. Wood pellet grills don’t work that way. The temperature control unit not only monitors the grill’s temperature, it also operates the auger, which is a long screw-like piece of metal that moves wood pellets from the hopper to the fire pot. It’s a nice little invention, but it’s still an electrical appliance. Some smaller, portable wood pellet grills, however, can be plugged into your car’s cigarette lighter (assuming it has one). The Green Mountain Grills Davy Crockett Pellet Grill is one such example. Green Mountain Grills’ Davy Crockett wood pellet grill comes with WiFi capabiity AND it can plug into your car’s cigarette lighter! Sweet. Wood pellet grills can be relatively expensive. And you thought gas grills were pricey! Small wood pellet grills are available in the $300 to $400 range, but if you want one that has a larger cooking area and is likely made with better electronics and better materials, you may be looking at an investment of $800 to $1,000 or more … or a lot more, if you’re planning to cook for a small army and look super cool while doing it. Memphis Grills, for instance, sells their Memphis Elite Wood Fire Grill for a price that will set you back a few house payments. 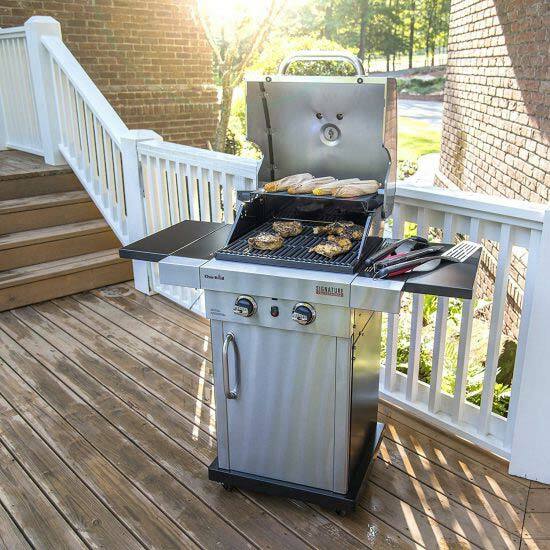 At that price range, you’re getting dual pellet hoppers, dual metal fans, double-walled stainless steel construction, WiFi connectivity, and a top temperature of 700° F (remember, most wood pellet grills max out around 450° – 500° F). You can still get a good, sturdy wood pellet grill for much less than that, but it seems worth mentioning that wood pellet grills do come in high-gloss, premium models. Like I said before in this grill buying guide, wood pellet grills are quickly gaining popularity – they’re not just for Grizzly Adams types! Well, not anymore. 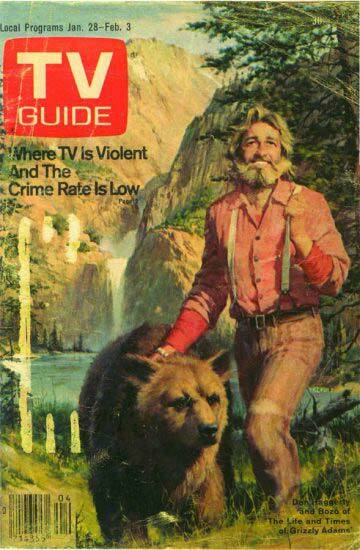 Just in case you didn’t get the Grizzly Adams reference, it was a TV show in the 1970s. Also, WHAT IS UP WITH THIS TV GUIDE COVER?? “Where TV is violent and the crime rate is low”?? Was that actually TV Guide’s slogan?? Cheese ‘n crackers! That’s hilarious! Wood pellets may not be available at a moment’s notice if you run out. Although the popularity of wood pellet grills is certainly on the rise, charcoal and propane still dominate the home BBQ scene. Chances are, your nearest supermarket, hardware store, and gas station all sell propane, charcoal, or both. Wood pellets are a big maybe. This is only a problem if you run out of wood pellets, so don’t run out! Amazon has wood pellets galore. Everyone is different, and the grill that’s right for you may not be what’s right for your next door neighbor. This grill buying guide has drilled pretty deep into four of the most popular types of grills you can buy, so let’s do a little recap to figure out what might make you happiest. CHARCOAL GRILLS: Basic grilling isn’t all that hard to get the hang of, and everyone will LOVE what you’re cooking. The taste of charcoal-grilled anything is pretty hard to beat (provided you don’t ignite the coals with lighter fluid). 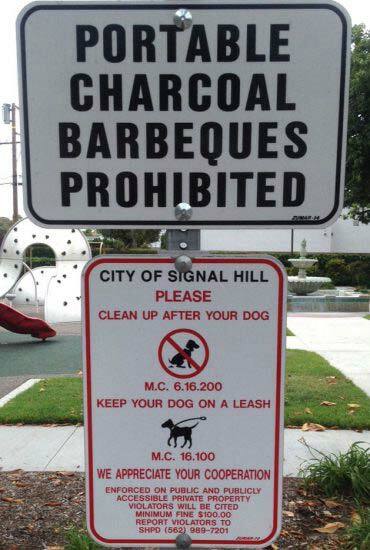 Just be sure you don’t run afoul of any laws or local ordinances that restrict charcoal grilling. CERAMIC GRILLS: Sure, they’re kind of expensive, but ceramic grills are extremely versatile and can be configured in different ways. Plus, your ceramic grill should last you a long, long time. GAS GRILLS: There are gas grills out there to fit every budget and every type of backyard griller. And gas is just SO easy! Fire it up and start cooking. That’s pretty much all there is to it. Plus it’s pretty nice to have a side burner for boiling brats or cooking up a sauce or whatever it is you’re up to. WOOD PELLET GRILLS: Once upon a time, wood pellet grills were only appreciated by serious meat smokers. Whoops. PHRASING. Let’s try that again. There was once a time when wood pellet grills were thought to be for smoking meat and nothing else. After all, they are AMAZING smokers. That’s the job they’re built for. People who are super-serious about smoking probably own a couple of wood pellet grills, which are affectionately known as “pellet poopers” in smoking parlance. But even if you’re not particularly passionate about smoked meats, you can still enjoy the heck out of a wood pellet grill. You’re sort of getting the best of both worlds, gas and charcoal, when you start to cook with wood pellets. Similar to cooking with gas, you get the easy temperature control and relatively little cleanup. And you don’t have to sacrifice that rich, aromatic smoked flavor that you can get from charcoal (but wood smoke flavor is definitely different from charcoal smoke). Plus there’s the WiFi if that appeals to you. If a quality wood pellet grill is within your budget and you like the idea of a do-it-all convection cooker, then this might be the way to go. And that’s it for Part 1 of this here Grill Buying Guide! Now here comes the fun part: Head on over to Part 2 and start looking at some grills!